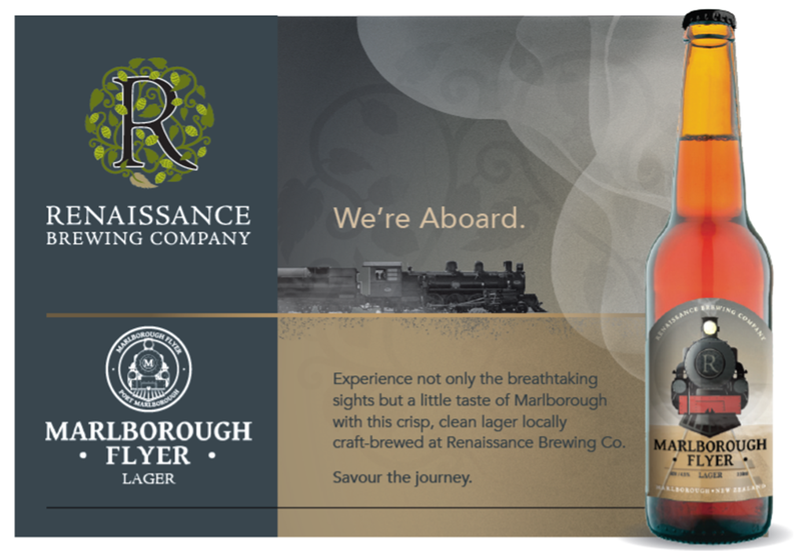 Introducing the “Marlborough Flyer Lager” – a special collaboration with Renaissance Craft Beer. Marlborough Flyer Lager – A light refreshing beer at 4.5% abv. You can find this special brew available on board the Steam Train and at The Wine Station as of today! Also available in local bars and retail outlets shortly – watch this space.